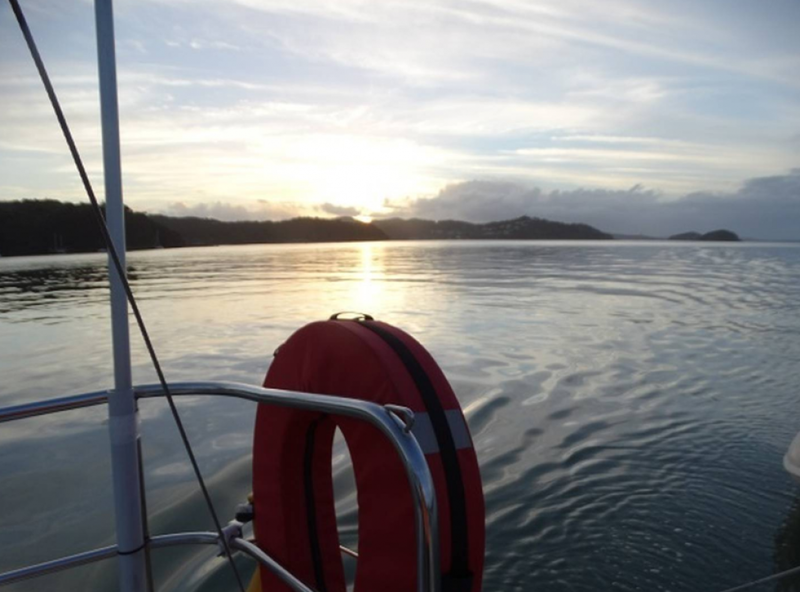 The Bay of Islands provides a beautiful backdrop for winter yachting lessons, as Alexia Russell discovers. I woke up to a smooth calm sea, an impossible deep green reflecting the bush of the island around us. We had Pipi Bay, on Moturoa Island, completely to ourselves. Under summer circumstances I would be diving without hesitation into the sea, but this was two days short of the winter solstice. There wasn’t a ripple. The water was so clear. After a few seconds getting acclimatised to the feeling of my face freezing, I luxuriated in having the sea to myself. I saw the bottom long before I could touch it, and turned back to the Raven 31, Liaison, the yacht that was home to me and my knowledgeable sailing buddy for a couple of days of off-season sailing. I’d headed to the Bay of Islands to cheat winter. It’s a season that New Zealand’s northern tourism organisations would like to wipe from their lexicon, brushing over it as off-season rather than a period others associate with snow and ice. 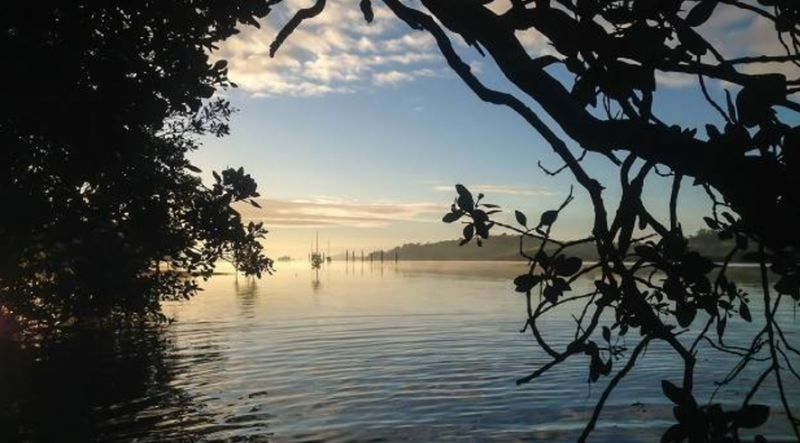 Nestled in Opua’s harbour is Great Escape, a fleet of sail-yourself yachts. As well as Ravens it has Davidson 20s, and Noelex 25s and 30s. They are good, sturdy, simple sailboats, easy to handle and comfortable, with all you need on board. Including, on the Ravens, a hot-water shower. If you’re new to sailing, there are plenty of options for learning the ropes with experienced owners Julie and Bill Kidman. The yachts don’t come with staff but they are affordable — cheaper than a nice hotel for what is your home, transport and activity base for a jaunt around some of the most beautiful waters in the country. The company is the first and only International Yacht Training certified school in New Zealand, so passing sail school here means you can hire a boat around the world. In Europe, that’s becoming an increasingly attractive option as large cruise ships clutter up the Mediterranean. My previous yachting experience was as chief babysitter and ballast on my dad’s home-made decked-over racing 18-footer. It gave me both a general feeling for sailing (wet, sunburnt) and a taste of excitement (the mast has snapped, we’re in a gale under the harbour bridge and have only oar power). It also often left me confused as Dad yelled out incomprehensible instructions as I battled with the tiller (what do you mean, uphill? The sea is flat!). Julie is somewhat more patient, which, granted, is probably easier when you’re not worrying about six children tumbling into the sea. Liaison is also easier to get back on to from the water, with an open stern (the back bit) and a ladder (no technical term for ladder). From the Opua dock you load your supplies into a dinghy, get your briefing, turn on the engine, unhook yourself from the mooring and move off. As we cleared the cluster of boats in the harbour we pulled up the main — with a reef in the sail since it was blowing a bit — and we were sailing. There is nothing like the feeling of the lift of a yacht when a gust of wind fills the sails. Your body automatically stacks out to balance the tilt of the vessel, and the thrill of it has you grinning to split your face. Around us the blues piled on blues, there were 100 shades of shimmery greys and a milky sun took the edge off the cold. A beanie, polyprop gear and a decent jacket was more than adequate protection. We sailed past the famous Eagles Nest luxury lodge, high on a Russell cliff, and I wasn’t even envious. I scanned the sea for some of the 450 dolphins that apparently live in the Bay of Islands but we didn’t have a map to their homes and they made themselves scarce on this trip. But all around us, gannets plunged into the sea, evidence there was something thriving below. Once at our destination for the night I wrangled the anchor, we uncapped the vino and set up our beds. I slept forward (in the sharp bit), cosily snuggled into my duvet and staring through the hatch, which without light pollution, displayed a blanket of stars. We could hear kiwi screeching at each other through the night. Next morning after a bacon and eggs breakfast from the compact galley, the swim and subsequent defrosting, we headed for another birdsong island — Urupukupuka. Once again the only boat in the bay, we dragged our dinghy on to the deserted white sand beach and headed into the hills. 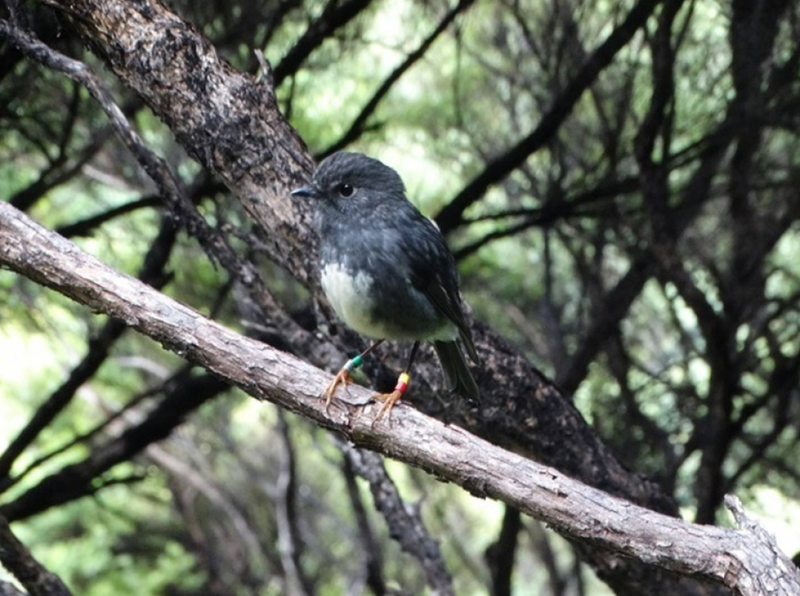 Along the way we were serenaded by tomtits, delightfully long-legged North Island robins, an army of dive-bombing piwakawaka, raucous tui, even a kakariki and a saddleback. From the trig the islands were laid out, every one an opportunity for exploration if you have a sailboat at your disposal. Over a cheese and crackers lunch we debated trying our luck with another night on the water in the face of a deteriorating weather forecast. As we did so the forecast was updated to gale force gusts so we upped anchor for a run home. White mare’s tails against a startling blue sky ahead of us indicated icy winds on their way. As the sun set we expertly picked up Liaison’s mooring, safely back before the storm hit. Sure, you can do this in summer with everyone else, when the days are longer and the water warmer. But for the sheer bliss and beauty of a mid-year escape, an off-season sail is an absolute treat.